Since 1967, on or around Hans Christian Andersen's birthday, 2 April, International Children's Book Day (ICBD) is celebrated to inspire a love of reading and to call attention to children's books. Each year, it is sponsored by a different chapter of IBBY (International Board on Books for Young People). This year the sponsor is Brazil, and the theme is Once Upon a Time. Around here, we LOVE children's books. Children's books have a way of opening us to the world unlike any other books. A simple picture book can take you right to another country, take you into another time or place, or put you into a new situation. For some examples, try the 2016 Outstanding International Books -- chosen by the United States Board on Books for Young People (USBBY). These books represent the best in children's books from around the globe, allowing children to see their world from other points of view. We've put together a booklist of the ones we own to make it easy for you to get them. The books on this list are great for teachers, parents, families, and even adults. Take a look at this list and find a new perspective. Some of my favourite books are wordless books. I was recently in Halifax for a display of wordless books from around the world -- the exhibit was called Silent Books. 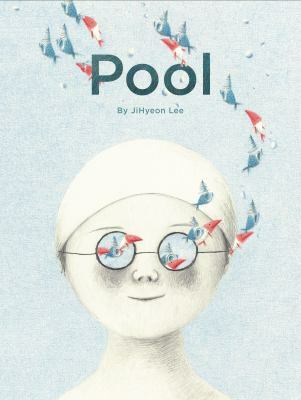 It inspired me to create this booklist of some of our best wordless titles. I love the idea that you can read these, regardless of what language you speak or read in. Share one of these books with a child (or with your best friend, no matter what their age). I also blog about picture books over at ValleyStorytime. I love picture books so much I just can't help myself. You can ask my co-workers. I longingly look at the unopened boxes that arrive because I know there are children's books in some of them. 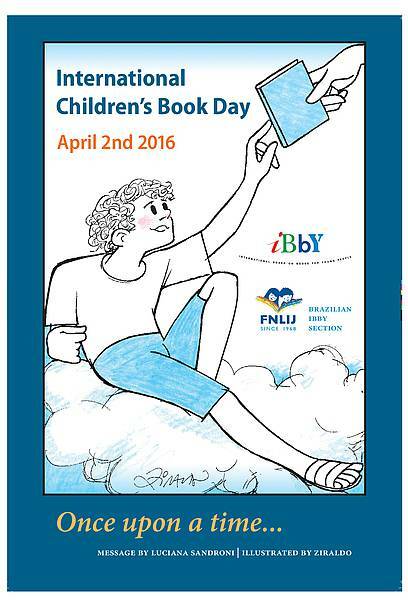 So, no matter who you are, what your age is-- pick up a children's book (or ten) and celebrate International Children's Book Day on April 2. Remember what Once Upon a Time is all about! Book a book from your reading nook! Say you just got home with your library haul. You have a huge stack of books and dvds to keep yourself out of trouble and in your reading nook for the next 3 weeks. You settle in, and start at the top of the pile. It’s an impulse pick that happens to be something by an author that you’ve always been meaning to check out but never have. It grabs you. You DEVOUR it. You’ve closed the back cover before the snow has melted on your boots by the door. Here’s the thing. You have 3 weeks before the rest of your books are due and you will probably find a few in your pile that are just great, but this one was something special. You start to wonder; how many more are there by this writer? Does my favourite library branch have them? Will they be on the shelf for me next time I’m there? Will I even remember to look for them after 3 weeks of (insert your busy thing here) passes by? Time to climb out of your reading nook (or pick up your phone/ipad). Time to BOOK A BOOK! Placing a hold at www.valleylibrary.ca can be fast and easy as long as you don’t get sidetracked and end up browsing through titles that you didn’t know you wanted to read. 2. Find the search field and type in the title. Don’t know the title? How about the author? Or the series name? 3. Clicking on the search button sends you to our online catalogue. Now it’s time to narrow the search. We can choose to search for title, author, subject, or series. Then, we can narrow our search even more, with a number of drop down menus. 5. Wait! You must be logged in to place that hold! You need your library card number and your PIN. Don’t have a card? Get one here: http://valleylibrary.ca/get-library-card Forgot your PIN? Contact any branch for help. 6. Aha! The hold can now be placed. 7.Choose a pickup location. And that's it! Now the hard part. Waiting until it’s ready for pick up! Sharing a computer? Don’t forget to log out! Looking for a popular new release? Try a less popular format. Maybe the Large Print version is available. We also have audiobooks and eBooks through our Overdrive for Libraries service. Keep your search simple, then narrow the search. You might see something unexpected and interesting with a broader search. Second, you could be too specific with your search terms and come up with nothing. Looking for DVDs? Choose format-DVD. Click the Find button. All the DVDs in our catalogue! Suspend holds: Want to watch a TV series in order and season 3 has a shorter waiting list than season 2? Place a suspended hold. You will keep your place in line for the item, but it won’t come to you before you need it. Also great if you are going to be away on vacation. Just suspend your holds until you get back. Don’t forget that the Annapolis Valley Regional Library shares our catalogue among 11 branches and the Bookmobile. If a book is in Windsor, we can have it sent to any of our other locations for pick up. If we don’t have it, Interlibrary Loans are also available. Separate rules apply. Don’t let poor weather conditions prevent you from getting reading material! Through our website, www.valleylibrary.ca, you can get lots of reading material without having to get out of your pajamas. Use OverDrive, our downloadable eBook and audiobook service. 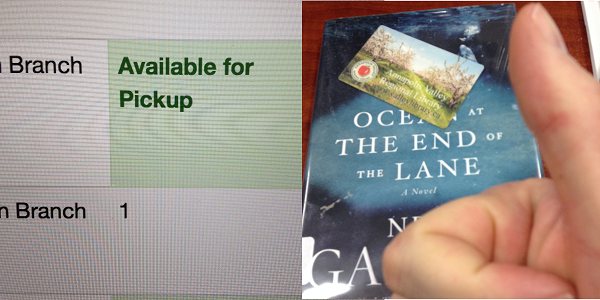 Borrow a book and download it to your computer and then put it on your eReader or download it directly to your phone or tablet using the OverDrive app. Borrow the book for up to three weeks. There aren’t any overdue fines or fees because the books are automatically checked in at the end of the loan period. There are over 12,000 titles to choose from with more added each week. Many of these titles have multiple copies, so there is sure to be something available for you to read. Within OverDrive, under the Featured Collections, you will find the Project Gutenberg Titles. This collection of over 2600 titles has been made available through the same software as the other OverDrive titles. These titles don’t expire, so you can keep them on your computer or device as long as you wish. Unlike the OverDrive titles which can only be used by one person at a time, these titles do not have a limit. Maybe you would prefer a magazine, we have those too. We currently subscribe to 30 titles from Zinio for Libraries. Each title has the most current issue, plus more than a year of back issues. Create a Zinio account, then checkout and read as many issues as you would like. Use the Zinio app to download your checked out magazines to your tablet or phone. These do not have a loan period, they don’t expire and won’t disappear from your device until you remove them. You even have the option of being notified by email when the newest issue of a selected magazine comes out. Do you or someone you know have a print disability? 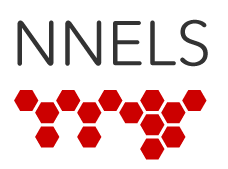 If so, try out NNELS (National Network for Equitable Library Service). There are over ten thousand titles to choose from, most of which are in audiobook format. For access, you will need to register for this service specifically with us, we will then change your account profile, then your library card gets you in. If you use the VoiceDream app (for either Apple or Android) you can use these titles on a tablet or phone. This app does have a cost. Oh, guess what? This is all FREE with your FREE library card. If you need some technical help with any of this, let us know, we have that too. Not heading to warmer climes for March Break? No worries, mate. We have you covered. Our libraries have all sorts of programs, from Magician Al Bernard to pizza parties. All our March Break events for kids and teens are gathered here in one handy link. What are we most excited about this March Break? Our #SafeSelfie Campaign, in partnership with the Cops-n-Kids program in Annapolis County, for ages 11-17 will be hosting a Pizza Party on Monday, March 14. Teens are invited to stop in, grab a slice, take a #SafeSelfie, hang out, play some board games, and check out some of the cool new tech toys we have. You know you want to find our more about the Naked Mole Rat Whimsical Day in Berwick, which you can do right here. In Wolfville, the Tantalizing Tattoo Table will certainly be something to check out. From 10 - 2 on Thursday, you can decorate yourself, pain-free, in the library. There are lots of LEGO Robotics programs, you can create with 3-d pens, and play music on tablets. We are celebrating Spring in Berwick, Bridgetown, and Middleton. And some of us can hardly wait for Family Fort Night in Bridgetown. (I think our staff are as excited as the kids.) And what about life-size Candyland? YES! We are also hosting a contest on Facebook. Tell us which book you'd like to see turned into a movie, and you could win a $15 Cineplex gift card. You could go see a movie during March Break with that. Maybe even get some popcorn to go with it. Contest ends March 10 at 1 PM. So, do not be sad that you are not sitting on a beach getting sunburned. 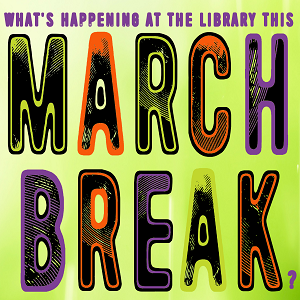 Head to your local library and have some March Break FUN! !